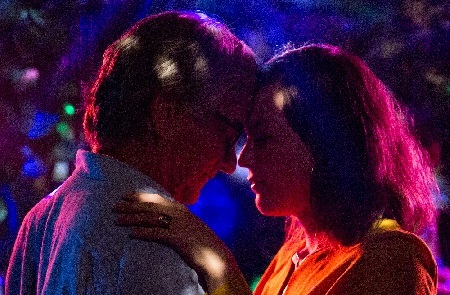 Waitress and singer Marina (Daniela Vega), a young woman with big dreams, is dating 57-year-old Orlando (Francisco Reyes), a highly successful businessman long divorced from his overbearing and angrily self-righteous ex Sonia (Aline Küppenheim). She loves him, and he loves her back, the two making quiet preparations for a romantic getaway away from the hustle, bustle and noise of their everyday lives. Tragedy strikes. After sharing a delightful birthday dinner, Orlando suffers an aneurysm, tumbling down a flight of stairs and sustaining a number of horrifying injuries. Rushing him to the hospital only to see him die on the operating table, Marina is forced to call her beloved’s brother Gapo (Luis Gnecco) and inform him what has happened. Later on, struggling with the best way to face and deal with her grief, she is then hounded by a female police detective (Amparo Noguera) and barred from attending Orlando’s funeral by the vindictive Sonia. Things couldn’t appear to be going any worse for the emotionally devastated woman. But Marina refuses to give in, persevering as best she can as more obstacles are thrown her way in her altruistic pursuit to mourn for Orlando in a manner that the pair’s love deserved. 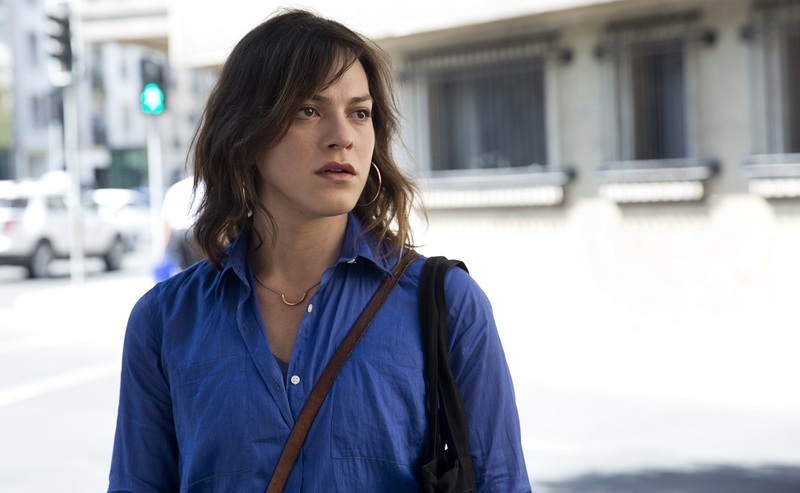 For a variety of reasons, I find it difficult to talk about the luminous brilliance of writer/director Sebastián Lelio’s (Gloria) Oscar-nominated Best Foreign Language Film A Fantastic Woman with anything approaching coherence. Needless to say, this is a superb drama, one that flirts with being a thriller only in reality to become nothing short of a marvelously introspective character study of self-identity and grief that proves to be universally accessible in its emotional resonance. Understandably notable for featuring a Transgender actress in the lead role, Lelio’s opus deserves to be lauded and embraced for reasons that go beyond the politically timely, this story one of tender understanding and observational restraint that shook me right to my core. Vega is stunning. She delivers a performance of such breadth, scope and unwavering strength the cumulative power of what she accomplishes is unquestionably exceptional. She gives herself entirely over the Marina and in the process brings the viewer inside her skin in a way that’s breathtaking. What’s notable is that she does this by not just being a Transgender actress in a Transgender role. While that facet of her performance cannot be ignored or denied, that does not lessen or minimize just how complex and complete her rendering of this young woman becomes. Vega balances multiple levels of grief as she is also forced to stare down various forms of intolerance that, don’t just want to minimize her existence, but hopefully erase it entirely. Through it all, her iron-willed resolve materializes with brutally unnerving vivacity, the empathetic grace that is achieved in the process extraordinary. Throughout the film, Lelio adds a bevy of visual concepts that, to some, will strike as initially obvious and maybe even a little facile. But as the things progress it becomes apparent that the director’s use of mirrors and reflective imagery has been utilized in order to twist things back on the viewer, to force them to walk with Marina as she confidently strides forward on her journey of acceptance. He and cinematographer Benjamín Echazarreta (Mozart’s Sister) strike a sort of balance between the elliptically ethereal and the grittily documentarian. By doing this, they dive into the Transgender experience in a way that is refreshing in its subtle, naturalistic simplicity, Marina’s everyday struggle to unapologetically be herself achieving a dignified universality that’s all-encompassing in its sympathetic warmth. I admit that I couldn’t help but see myself in elements of this story. 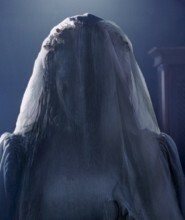 I understand much of what Marina is facing from the inside, and it’s undeniable that I was affected by this while I was watching the movie for the first time. But there is a reason I try not to talk about my own Transgender experiences as a critic and film writer, and, much like the main character here, it is because I want my abilities and my talents to speak for themselves unclouded by blind misconception and misplaced attempts at understanding. I am passionate about cinema because I am a human being who has been moved by the sights, sounds, stories and images I discovered as a youngster and grew to adore and cherish as I grew older while passionately striving to learn more about the medium. While my Transgender experiences shape who I am and my worldview, they are not the end all-be all for who I am, these just one facet of the greater human journey all of us are on whether or not we choose to recognize this to be the case. That is the glory of what Lelio has accomplished. Marina has dreams and aspirations that go far beyond just being accepted as the woman she undeniably is. She is a talented singer. She is a passionate lover. She is an exceptional human being who cares fervently about others and their well-being no matter how clueless they might choose to be about topics they fail to take the time to understand with anything approaching intelligence, let alone respect. She speaks up for herself when forced into a corner. But, more importantly, she makes the boldest and brightest statement by just living her life out in the open, the simple task of slipping on shoes and walking to work a courageous form of activism that should never be undervalued or underestimated. 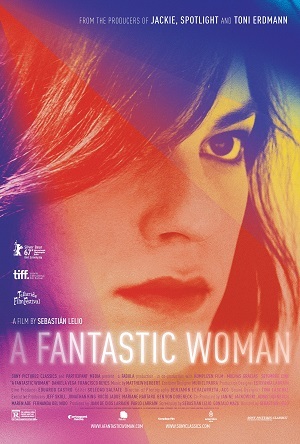 A Fantastic Woman is spectacular because it doesn’t just understand this, it celebrates it, making the film a stunning cinematic achievement viewers of any age, gender, race or political ideology I cannot help but hope make it a point to see.